Johanna Suzanna Hendrina Roepman was born in Rotterdam on August 4, 1892, the second of three daughters of pharmacist Maarten Adrianus Roepman and Elisabeth Ringlever. 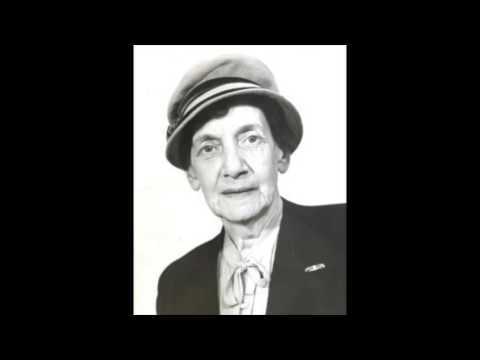 She was raised in an affluent environment; the family business was booming at that time as the sole pharmacy in the Rotterdam harbor, servicing the large merchant ships of all its pharmaceutical needs. On medical grounds her father had to stop working and the family moved to The Hague. Johanna had piano and singing lessons and sang in a childrens' choir up to the age of sixteen, but in her own words, had hardly learned a thing. She was also interested in fine arts and eventually was allowed to go to art school. But she didn’t want to miss the rehearsals of the Residentie Orchestra taking place at the same time as the art classes. Ultimately she chose for music. In her family's view, music was only part of a good upbringing and couldn't be a serious profession for a girl. So she studied English instead and was an English teacher until her marriage to lawyer and writer Ferdinand Bordewijk. They met in October 1911, when he had just graduated with a law degree. They married in 1914 and had two children. They found in each other a common interest in the arts, particularly literature and music. Ferdinand, as of 1913 practicing law, published his first poems in 1916. He would become one of the most important Dutch writers. He had some musical talent, played the violin and was able to help Johanna with corrections of her scores. In 1919, she completed her first piano composition and music set to Rie Cramer's poems for children, Mijn eigen tuintje (My own garden). Pleased with her success, she got the hang of it. Although she spoke negatively about her lack of formal music education, she was brought up with some key characteristics. She was enterprising, spontaneous and couldn't care less about conventions. Johanna "simply" started composing, using Richard Stöhr's Musikalische Formenlehre, which she had purchased at the Van Eck music shop in The Hague. First writing for solo piano and songs; then something more challenging: a sonata for violin and piano (1923) which was performed later by the “Study group for modern music” in The Hague. She desperately wanted her songs to be performed and arranged two concerts in Groningen and Amsterdam, with singer Rodi Deggeler and she, herself as accompanist. Completely under her own management, she rented the concert venues and did the publicity. For this occasion she had written a pamphlet to introduce and inform her audience about new music. Her expectation that it would sound quite different from the usual programs proved to be true. One critic cynically wrote that he was either hopelessly “old-fashioned” or the music was just bad, trying to be modern. But Bordewijk-Roepman carried on, and ventured on to an orchestral work. This time she consulted the Instrumentationslehre by Richard Strauss and Hector Berlioz. She couldn't figure it out completely but came up with an intelligent solution. She made a long list of questions about the various instruments and invited each soloist of the Residentie Orchestra to her home. Harpist Rosa Spier was the first musician she consulted. In December 1927, The garden of Allah, a suite for orchestra (unfortunately the score is lost), premiered in Groningen. This piece was inspired by a 1904 novel by Robert Smythe Hichens, incredibly popular in the 1920s. Earlier that year, Johanna published two piano pieces and a cycle of three songs. These were harshly criticized by Willem Pijper in the newly established magazine De muziek. In his view, these compositions showed that her musical awareness was underdeveloped and immature with a total lack of self-criticism. But - he added - she certainly has some talent, though not fully used. Johanna was not indifferent to the negative criticism - not only from Pijper – that she received for a long time. Later she mentioned the great difficulties an autodidact experiences in comparison to formally trained artists. In 1935, she decided to take lessons from Eduard Flipse, conductor of the Rotterdam Philharmonic Orchestra, the leading orchestra for contemporary music in the Netherlands at that time. He advised her to take a break for six months and focus in the meantime on specific technical exercises. She learned a lot from this. Flipse, who frequently performed works by young Dutch composers, also included her in his concert programs. In 1937, he conducted her Boere-charleston for men's choir on a text by Paul van Ostaijen, at the Concertgebouw in Amsterdam. From that moment on, Bordewijk-Roepman was very productive. Steadily she gained greater recognition from both critics and audiences. In 1940, her breakthrough came with Les Illuminations for large orchestra and soprano set to poems by Arthur Rimbaud, and the Bierbaum Lieder for the same instrumentation (in addition to a version for soprano and piano). She also wrote various choral works. Johanna had just started working on her Concerto for piano and orchestra when war broke out in May 1940. This of course had an impact on what she wrote. The concerto begins with the rumbling of timpani, rising from pianissimo to fortissimo, followed by the complete brass section and the piano. It sounded like a bomb exploding, something that occurred frequently during the first days of the war in The Hague. This work was her biggest success yet, dedicated to the pianist Marinus Flipse who premiered the piece together with his brother Eduard conducting. In 1941, she wrote as a kind of counterbalance the cheerful opera Rotonde on a text by her husband. In those first war years musical life was flourishing; people needed entertainment to forget their troubles and anxieties. Then, in the spring of 1941, Jewish orchestra musicians were fired and the deportations began in July 1942. 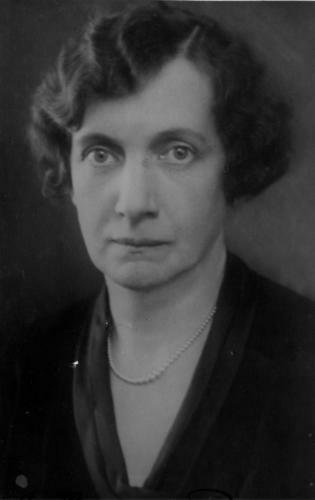 In January 1942, Bordewijk-Roepman canceled her GeNeCo membership (Society of Dutch Composers). Non-Jewish musicians were required to join the Kultuurkamer by April 1, 1942 at the latest, otherwise they could no longer practice their profession. Both Johanna and her husband refused, despite pressure to do so, arguing that they were no longer composing or writing. Of course they were. Johanna's impressive Sonata 1943 for solo piano was written during the war and also bears the traces of those years. This sonata evokes a feeling of oppression and despair. Performed at private concerts during the war, it premiered in June 1945 at the liberation concert in the Concertgebouw, Amsterdam and this piece was awarded by the Dutch government in 1946. In 1943, she also wrote a work for large orchestra, Epilogue, which, according to Wouter Paap reveals her optimistic desire that the war would soon end. In those war years, she composed songs on texts by Dutch poets including Moed (Courage) by C.S. Adama van Scheltema, Holland by E.J. Potgieter and Oranje-Meilied by Joost van den Vondel. In 1945, commissioned by the literary publishing house De Bezige Bij, she set Uit het diepst van mijn hart (From the deepest of my heart) by J.J.G. Zwanniken to music. Johanna hated the “German hangers-on,” referring to the opportunists in the music world. She and her husband organized private concerts and literary evenings in their home, located next to the office of the Kultuurkamer. The proceeds went to the artists' resistance group. Their home in Bezuidenhout was bombed on March 3, 1945. They narrowly escaped. Household goods, works of art, books, musical instruments, manuscripts and scores, all their belongings were destroyed. Bordewijk-Roepman had a great sense of justice and outspoken opinions: right or wrong, black or white - gray did not suit her. Already during the war years she was convinced that the art world needed to be cleansed of German collaborators. Preparations were made to establish a federation of artists, divided into various sections. At the end of the war, Johanna, Bertus van Lier and Paul Sanders were the three board members of the section for music. In 1946, Wouter Paap wrote an essay on her music, praising her rich and original talent. He mentioned the determination and clear lines which characterized her orchestral works and in his view she was a “curious figure in the world of our Dutch composers.” In slightly different words the author Helene Nolthenius wrote the same thing in 1956. According to Nolthenius, this music was cleverly constructed and distinctly twentieth century but also incomparable to the music of anyone else. One of the few Dutch composers too difficult to categorize or fit into any school or style. The compositions for large orchestra have rarely been played since 1945, but her choral works were performed up to late 1950s at home and abroad. It was only in the 1990s that the first performances took place of Rotonde and Plato's death. High Flight for women's choir continues to be programmed as well as her carillon music. Thanks to the Leo Smit Foundation, Sonata 1943 (reissued by the Dutch Music Institute in 2009) is often performed. Her songs have not been forgotten, and are programmed here and there. In September 2016, a double biography of both Johanna and her husband Ferdinand en Johanna. Een dubbelbiografie van schrijver F. Bordewijk en componiste J. Bordewijk-Roepman was published together with a cd From the bottom of my heart including songs and chamber music.